BOOKING IS EASY ON OUR WEBSITE. Even with the family away from the crowds and looking for peace and quiet, stunning views and a cozy and fully furnished apartment on the edge of the woods? Would you take the dog? 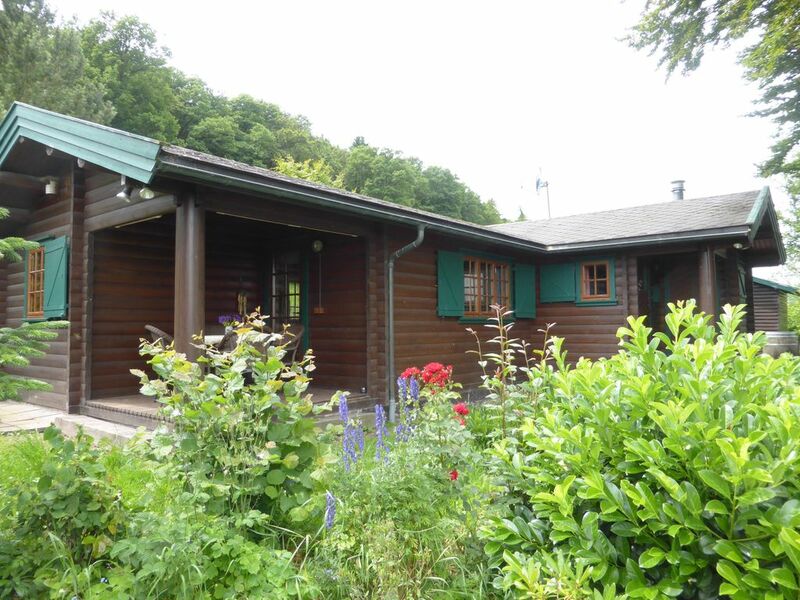 Come and enjoy this Norwegian bungalow in the charming village of Sudeck. • Property is fully fenced. • Large garden and a covered veranda with patio heaters. • Fantastic views over the hilly landscape. • Garden furniture and barbecue. • Suitable for max. 6 people, 3 x 2 pers. bedroom of which one room with a bunk bed. • Kitchen with luxury appliances. • Dutch TV channels available. • Free use of mountain bike and children's bike. Nearby are the Diemelsee, a lake nestled between lush meadows and forests. Here is a recreational paradise where you can walk among others, swimming and fishing. The lively tourist town of Willingen is a 15-minute drive away. Here you will find a large tropical swimming pool, a climbing hall and a toboggan run. Afwijkende aankomst en vertrek dagen zijn in overleg bespreekbaar. Meer informatie kunt u ook vinden op onze website HUUREENHUISINSAUERLAND.